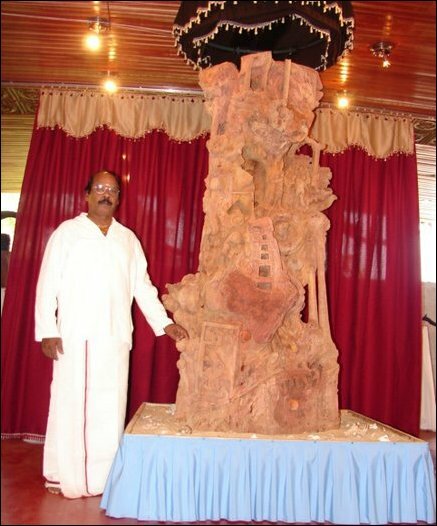 Sculptor A. V. Ananthan has been working on the tsunami memorial sculpture since the 2004 tsunami disaster which claimed thousands of lives in the Jaffna peninsula. 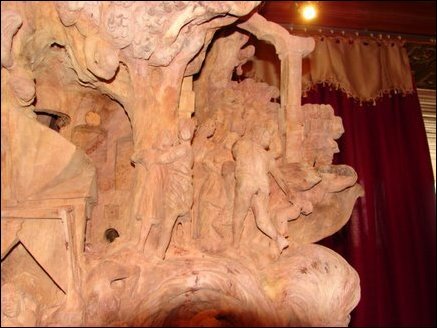 The wooden sculpture, carved out of a solid trunk, was unveiled ceremoniously at his special atelier at Tellipalai, sources said. Many commended that the intricately carved sculpture as a fitting memorial for the tsunami tragedy.